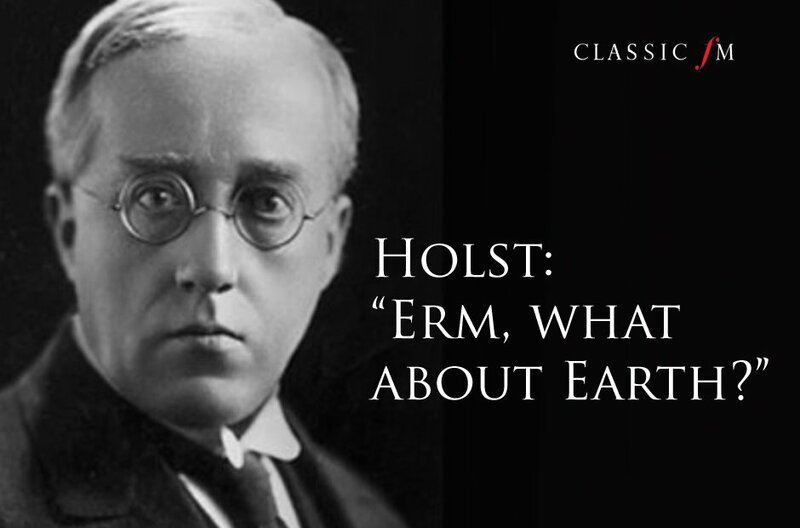 So Holst wasn't too keen about adding Pluto to The Planets suite when it was named the ninth planet in 1930. But what about the third rock from the sun? It's just the same eight notes over and over and over...but when do you stop? The Enigma Variations by Elgar are called that because there's an initial melody on which the variations are based. But nobody knows what it is. It's expensive to think about educating 20 children. Legend has it that the poor composer died after he reached for a copy of the Talmud from the top of a bookcase and it toppled over. In July 1791, a masked stranger called on Mozart to commission a Requiem. Also known as the Man in Grey, the Mysterious Messenger and the Gray Messenger, the caller is seen as hastening Mozart's early death in the film 'Amadeus'. Bruckner had a little trouble keeping things short. Lully died from gangrene, having struck his foot with his long conducting staff during a performance of his Te Deum. Poor Chausson had a fatal meeting with a stone wall. Stravinsky reportedly described Rachmaninov as "six foot two inches of Russian gloom."